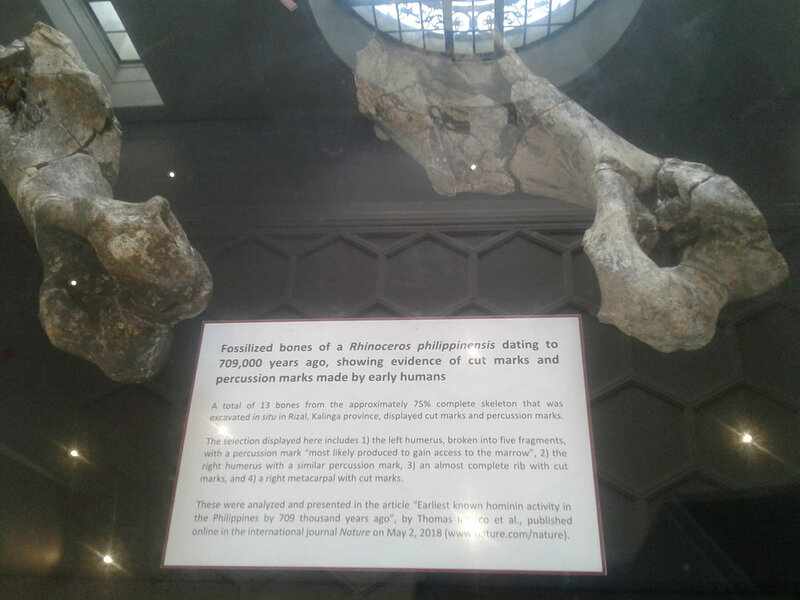 June 19, 2018 / Virgilio A. Reyes, Jr.
On May 18, 2018, the National Museum of Natural History on T. M. Kalaw St., Manila, opened its doors to an eager public on, appropriately, International Day of Museums. The saga began in 1998, with then- President Fidel V. Ramos’ approval of the National Museum Act, designating three historical buildings in Rizal Park as the home of the National Museum: the Legislative Building on Padre Burgos Avenue and the twin buildings that originally housed the Department of Agriculture and Commerce (later Tourism) and the Department of Finance in the eastern area in Rizal Park known as the Agrifina Circle. These are handsome representatives of the Commonwealth style ushered in by American architects Daniel Burnham and William Parsons and brought into fruition by top Filipino architects such as Juan Arellano and Antonio Toledo. Devastated by the Second World War, they were painstakingly reconstructed, and they served as government buildings in the first decades of the Third Philippine Republic. The official statement on behalf of the Board of Trustees was delivered by Chairman Ramon del Rosario in the presence of Director Jeremy Barnes and Executive Director Ana Labrador and such luminaries as NCCA Chair Virgilio Almario, former National Museum Director Gemma Cruz Araneta, trustee and former Museum Foundation President Maribel Ongpin and Rev. Rene Javellana, S. J. The last 20 years were not without many stops and starts, with countless political and financial obstacles to be hurdled. This author himself, as onetime secretary of the NGO Concerned Citizens for the National Museum, witnessed the recalcitrant attitude of some politicians who resisted moving their institutions out of these historic edifices despite legislation and Presidential fiat. One could only imagine, in the worst-case scenario like terrorism, the risk of damage had the quarters continued being shared by the “Spoliarium” with political offices and personalities. 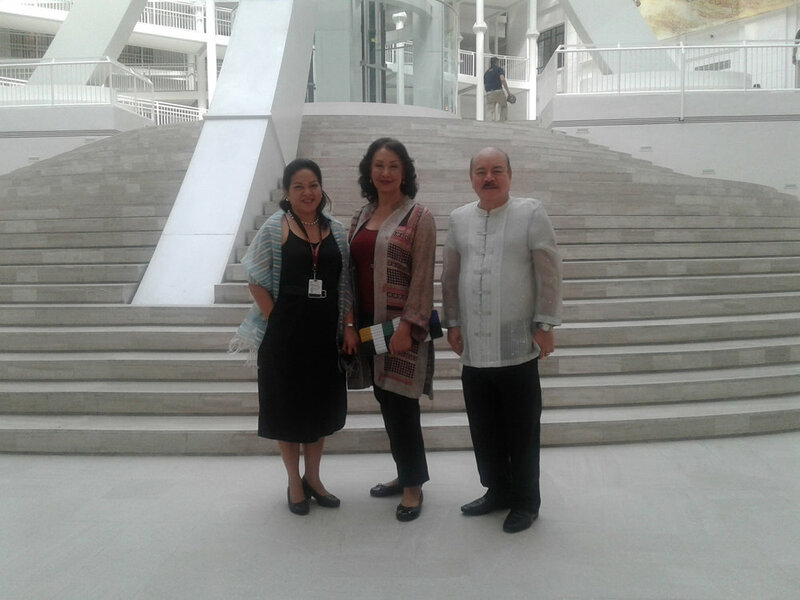 In 1998 the 100th anniversary of Philippine Independence from Spain, the Finance Building was converted into the Museum of the Filipino People, now called the National Museum of Anthropology. This housed such stellar exhibits as the recovered treasures of the shipwreck San Diego and artifacts such as the Manunggul jar. In 2001 the centennial year of the National Museum itself, the former Legislative Building was converted into the National Art Gallery, now called the National Museum of Fine Arts. This now houses some of the finest and most representative of Philippine art, including works by Juan Luna, Felix Resurreccion Hidalgo, Fernando Amorsolo as well as other National Artists and contemporary Filipino artistic trailblazers of art. Special rooms have been dedicated to Jose Rizal, Philippine ecclesiastical art, the Basi wine revolt, textiles, and sculpture. The Assembly Hall that once housed the august Senate is now a magnificent chamber for splendid receptions, sparkling concerts, and events. It now also features historical murals that once resided in the Manila City Hall. The National Museum has been fittingly transformed for the 21st century, in an era of climate change and rapid social media. In 2012 then-President Benigno Aquino III agreed to support the conversion of the Department of Tourism building, through extensive retrofitting and renovation, into the National History Museum. Despite advances made in the previous two decades, what was lacking was generous space to highlight the priceless geological, botanical, and zoological collections of the National Museum that had been virtually hidden from public view. Three unique animals endemic to the Philippine archipelago are featured in giant tapestry posters along the Shell Philippines Centennial courtyard. These are the Philippine national eagle, the native tamarau and the Philippine tarsier. They recall the Philippines’ marvelous biodiversity while also calling attention to its fragility and vulnerability. It is striking that many Filipinos, especially of the younger generation, may not even be aware of the existence of these special creatures. Now they are staring into them right in the central courtyard. The original remains of Lolong are now permanently exhibited at the National Museum of Natural History while the replica is now in the centennial courtyard. The intention is to eventually transfer it for public display at the Ninoy Aquino Parks and Wildlife in Quezon City. It is a safe bet that the public may clamor to keep the replica in place where it is now. Sure to stun at the newly opened museum are remarkably preserved fossilized rhinoceros skeletons, which show cut and percussion marks made by early humans 709,000 years ago. These were found with stone tools from a site excavated in Rizal, Kalinga province that included six cores, 49 flakes, and two possible hammerstones. This rewrites not only the ancient prehistory of the Philippines, but raises controversial questions about theories of human migration out of Africa to Southeast Asia. Until this discovery, the earliest human remains found in the Philippines had been those of the Tabon Cave in Palawan, dating back some 50,000 years. The Museum of Natural History is still a work of progress, with the two top floors being in the process of organization and final refurbishment. But what is already open to the public shows polish and panache that will excite many visitors and schoolchildren. Instead of static artifacts, there are interactive video corners and picture screens, attractive blown-up materials on flora and fauna, reproductions of mangrove swamps and underwater seascapes. This imaginative presentation will surely inspire renewed interest in our own natural history as well as respect and awe for scientific discovery and fact. Viewers are also given a glimpse into the storied history of the Philippines, with outstanding naturalists such as Fathers Francisco Manuel Blanco and Georg Josef Kamel, S.J. (after whom the camelia flower is named), and explorers like Juan Jose Ruperto de Cuellar and Alessandro Malaspina, who came to our shores in the 18th century to record our diverse flora and fauna. Filipino scientists such as botanist Leon Maria Guerrero Sr. and biologist Eduardo Quisumbing are also given proper recognition in places of honor in the Museum. Indeed, the gleaming Antonio Toledo neoclassical building on T.M. Kalaw St., now known as the National Museum of Natural History is a miracle that should delight Filipinos everywhere. Mabuhay! A career diplomat of 35 years, Ambassador Virgilio A. Reyes, Jr.served as Philippine Ambassador to South Africa (2003-2009) and Italy(2011-2014), his last posting before he retired. He is now engaged in writing, travelling and is dedicated towards cultural heritage projects. More from Virgilio A. Reyes, Jr.